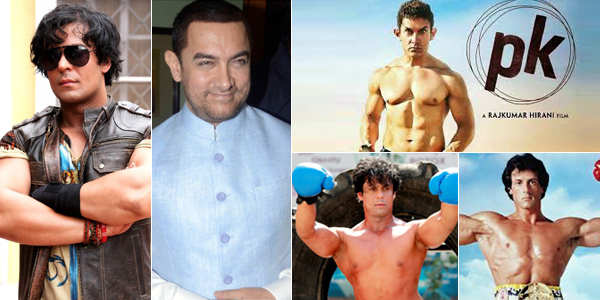 Mr. Perfectionist aka Aamir Khan is known for selecting not just his script with caution but is also renowned for selecting his co –stars with prudence. Hence after a hectic hunt for the main villain in his upcoming film DANGAL he has set his eyes on the dashing and debonair Vikram Singh, the baddie in Tiger Shroff debut hit film HEROPANTI. “Vikram Singh excels in both the departments. In HEROPANTI he won huge applause for his flawless Haryanvi and as regards his body he is termed as Indian version of Hollywood action star Sylvester Stallone,” quipped the source. In fact Sabbir Khan, who directed him in HEROPANTI, would address Vikram as 'Sly' and 'Rocky' during the shooting of the film due to Vikram’s impressive physique, dynamic screen presence and uncanny resemblance to Sylvester Stallone. It may be noted that Vikram has trained himself as a boxer in New Zealand and has made a big name for himself with movies like YA RAB. Down south he has played antagonist in many films including Mahesh Babu's REBEL.